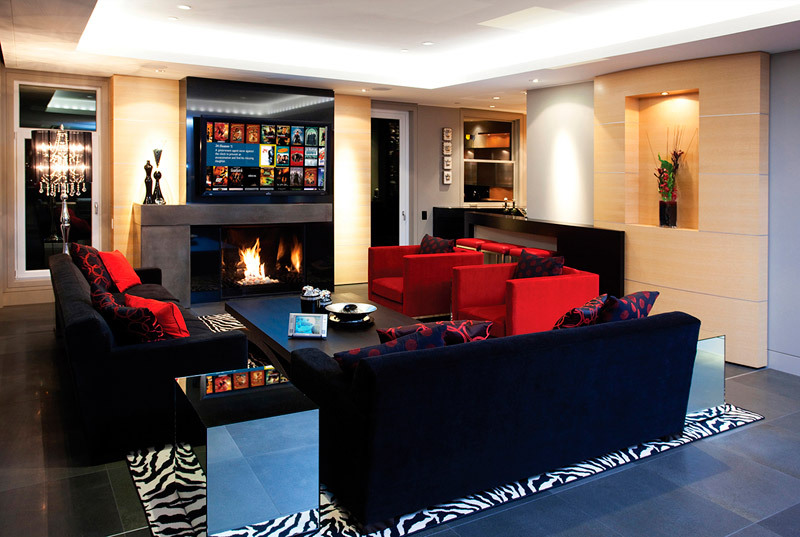 Noise is a critical factor affecting room design but, unlike lighting or climate control, it is often overlooked. Effective control of environmental noises and distracting conversations can significantly increase worker productivity while creating privacy from common areas. These noise control methods can take different form and accomplish different types of noise control. One such method, sound masking, is an effective way to eliminate the distractions, as well as privacy concerns, of overheard conversations but how it works, is often misunderstood. The ABC’s of acoustic design, as architects refer to them, are a variety of elements that can be employed to address noise control and speech privacy. These include solutions that absorb, block, or cover sound. In any given space, the right solution may include involve one method or a hybrid off two or all three. Sound masking systems cover noise and fit into the C category. We’ve learned that acoustic treatments absorb noise. Sound masking, on the other hand, is the addition of sound. It is an ambient sound, created by digital generators, that are specifically engineered to the frequency of human speech to target conversational noise rendering it unintelligible and therefore, less distracting. Sound masking does not eliminate all noise or cancel sound in an environment; it simply reduces how far conversations can be heard and clearly understood. Sound Masking: What it is Not! Sound masking is often referred to as “white noise” but its frequency varies significantly. Unlike white noise’s irritating static, sound masking is engineered to match the comfortable frequency range of the human voice. When designed and installed properly, the “whoosh” of sound masking will fade into the background of a workplace while simultaneously making speech more difficult to hear and, more importantly, to clearly understand. Implementation of a sound masking system will be far more successful if activated when workers are not present. It’s simple, human nature to hear something when it’s first flipped on and be overly aware of it. Instead, if your staff were to walk in while it’s already on, they would be less likely to notice it, if they noticed it at all. Ongoing, systems can be controlled manually or automatically, set to activate and deactivate based on staff scheduling. If an environment has widely varying noise levels, an “active volume control” can be added to improve effectiveness. Special microphones (emitters) would be installed to measure the conversational speech levels and adjust the system’s output as the noise levels rise and fall. With the system staying in-sync with the environmental noise, the occupants wouldn’t detect a change. Often a complement to sound masking, acoustical treatments provide barriers and sound absorption, lessening overall noise levels and reducing reverberation from hard surfaces. What’s the right solution for your space? Call us to request a consultation today. Vancouver summers are meant to be enjoyed… outside! 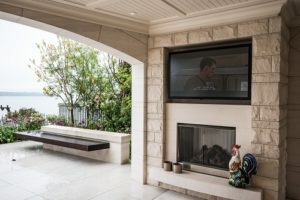 Whether you’re hosting a dinner party poolside, sipping cocktails beneath the pergola, or catching Sunday’s game at your outdoor kitchen, a well-placed TV is a great source of entertainment. But extreme temperatures, moisture, dust and even unwelcome insects, take a toll on the display. This is why it’s important to use a unit specifically designed to stand up to what British Columbia can dish out. ­­­­­­ Weatherproof TVs hit the market a few years ago. While they were sealed from the elements and offered a brighter screen to compensate for sunny conditions, they were somewhat bulky. To overcome the unstylish appearance, we crafted custom enclosures which limited installation options. Well, have things changed! Outdoor LEDs today are sleek and provide optimal image quality that overcomes extreme brightness as well as low light levels. Anti-glare and anti-reflective features also improve the viewing experience. Not only do these weatherproof TVs look sensational, but they’re built to withstand our extreme temperatures, resist moisture and seal out dust, dirt and those pesky insects that could compromise the life of an ordinary indoor unit and void its warranty. TVs built specifically for outdoor use also offer durability and safety. Unlike indoor units that could pose a greater risk of electrical shock or fire hazard if used outdoors, outdoor TVs are built tough with durable exteriors and tempered safety glass for extended enjoyment, safety and reliability. Weatherproof TVs are not only perfect for covered porches and sunny patios, but for marine use as well. They can take the punishment of the waterways and, when not in use, can be covered with an attractive dust cover made specifically to keep them clean. Complementing your weatherproof TV with impressive outdoor audio also offers a variety of choices. Like purpose-built outdoor-rated LEDs, speakers and subwoofers created for outdoor use feature weather-resistant materials. Their cones are made of specialized materials and their electronic components are sealed from moisture, but their sound performance is uncompromised. They are designed for even sound dispersion across expansive areas, some even providing full 360° coverage. And the design choices are endless with speakers created inside elegant planters, made to resemble natural stones or sleek landscape spotlights. Subterranean subwoofers are available for hidden underground installations. Outdoor-rated soundbars are also available and provide a designer-friendly solution. And many weather-resistant accessories are available such as wireless gear, seals for cable cover doors and remote controls. Ready to make some weather-friendly updates to your outdoor living space? Call La Scala today to request a complimentary consultation. We’d love to show you the latest in outdoor living solutions.